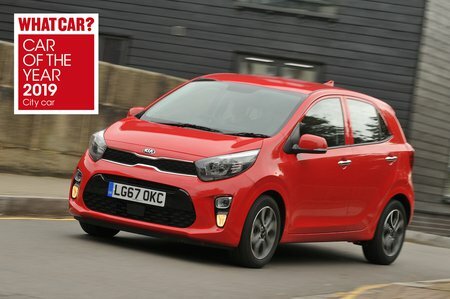 Kia Picanto 1.0T GDi GT-line 5dr 2019 Review | What Car? What Car? will save you at least £665, but our approved dealers could save you even more. It's based on 2 trim, so GT-Line misses out on some of the upgrades that our favoured 3 trim gets. Instead, it comes with sportier styling and 16in wheels on the outside. Automatic emergency braking is also standard, along with power-folding door mirrors and privacy glass. A turbocharger makes this the most powerful engine in the range, giving the Picanto truly peppy performance. Like the non-turbo version, it’s a bit thrummy, but the biggest issue is the price.